Hours after President Barack Obama named Susan Rice to be his new national security adviser, another Washington “NSA” was thrust into the spotlight over reports it is secretly collecting phone records of millions of Americans. 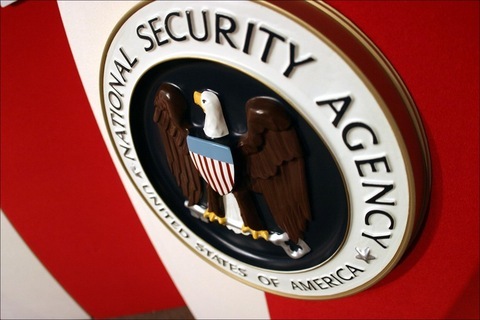 The revelations about the National Security Agency have reignited a debate over civil liberties and how much power the government should be allowed for domestic spying. Late Wednesday The Guardian broke the story that the government was granted “unlimited authority” to collect phone records of millions of Verizon customers, according to an order issued in April by the secret Foreign Intelligence Surveillance Court authorized by the Patriot Act. It’s set to expire in July, but it’s not clear if there are broader orders that extend to other providers or for longer periods of time. It is similar to the 2006 revelations that the government had obtained phone records for millions of clients of the major cell phone providers as part of a massive database, all in the name of fighting terrorism. An expert in this aspect of the law said Wednesday night that the order appears to be a routine renewal of a similar order first issued by the same court in 2006. The expert, who spoke on the condition of anonymity to discuss sensitive issues, said that the order is reissued routinely every 90 days and that it is not related to any particular investigation by the FBI or any other agency. The expert referred to such orders as “rubber stamps” sought by the telephone companies to protect themselves after the disclosure in 2005 that widespread warrantless wiretaps could leave them liable for damages. What it doesn’t do, however, is collect the content of the calls. Administration officials Thursday told reporters the order printed by the Guardian “does not allow the government to listen in on anyone’s telephone calls,” and said the process, allowed under the law, is a “critical tool” to protect the country. Progressives were already mobilizing in anger, with at least one group circulating a petition demanding that Congress investigate. Many liberal members of Congress — and even then-Senator Obama — raised concerns about the FISA courts, and the slippery slope of government intrusion. One thing that’s changed since then is a new contingent of tea party lawmakers who have made a cause out of civil liberties issues. Attorney General Eric Holder is on Capitol Hill Thursday to testify at a Senate hearing about the Justice Department budget, and no doubt he’ll face questions about the issue. We’ll be livestreaming the hearing. Earlier Wednesday, Mr. Obama elevated Rice to replace National Security Adviser Tom Donilon. It was a choice that pokes at Republicans critical of Rice over the issue of Benghazi — and the position does not require a confirmation vote. The president named longtime friend and adviser Samantha Power to replace Rice, and she will face Senate confirmation. When confronted with competing agendas and interests, you always bring the discussion back to one question: What’s in the national interest, what’s best for America? I’ve seen your abiding commitment to the core values that define us as Americans, our Constitution, civil liberties, the rule of law. Time and time again, you have reminded us that our decisions must stand up to the judgment of history. Politico’s Glenn Thrush and Reid Epstein explored what the Rice pick means for the West Wing and what it says about the president’s management style. The Washington Post’s Scott Wilson wrote that the new team signals a more aggressive stance from Mr. Obama, and the New York Times’ Peter Baker labeled it a “defiant” move. The NewsHour examined the Cabinet choices as the lead of the show Wednesday night. Judy Woodruff talked with Richard Haas and Anne-Marie Slaughter. Mr. Obama on Thursday visits Mooresville Middle School in Mooresville, N.C. to showcase innovations in education. Our own John Tulenko profiled the school’s use of technology five years ago for a Learning Matters story. Democratic Rep. Ed Markey and Republican Gabriel Gomez met Wednesday night for their first debate ahead of this month’s Massachusetts Senate special election. The encounter featured clashes over abortion rights, national security and gun control legislation. Two top IRS officials involved with the agency’s implementation of the Affordable Care Act have been placed on administrative leave for allegedly accepting more than $1,100 in free food and other items during a 2010 health care conference, BuzzFeed’s John Stanton reported Wednesday. He also wrote that the agency has started the process of removing the employees. Virginia Attorney General Ken Cuccinelli charged Wednesday that the IRS was withholding $125 million owed to the state because of his opposition to the Obama administration. Later in the day the Treasury Department said it would begin issuing payments to the state, prompting Cuccinelli’s gubernatorial campaign to take credit for the decision. But Cuccinelli told reporters the state’s congressional delegation had been working with the IRS to obtain the funds. The National Journal sees Cuccinelli’s Democratic opponent Terry McAuliffe running an “Obama playbook” in Virginia. PolitickerNJ reported Wednesday that New Jersey Democratic Rep. Rush Holt plans to run in the state’s upcoming Senate special election, according to three Democrats familiar with his thinking. A Gallup poll released Wednesday found that 52 percent of Americans hold a favorable view of New Jersey Gov. Chris Christie, while 20 percent of respondents said they had an unfavorable impression of the Republican. The survey also showed that Christie’s name recognition nationwide has increased to 72 percent, up from 49 percent in March 2011. Florida Sen. Marco Rubio warned again Wednesday that the immigration reform plan currently working its way through the Senate will not pass the Republican-controlled House unless the border security provisions included in the bill are strengthened. At a breakfast for reporters Wednesday, Rep. Tom Price, R-Ga., previewed a new piece of health care legislation. Politics Online Production Assistant Meena Ganesan reports that Price said he soon plans to introduce a bill that would repeal the president’s landmark Affordable Care Act and replace it with a “patient-centered” alternative. “We propose making it financially feasible for every single American … to purchase the coverage they want for themselves, not that the government wants for them, and you do that through the tax code,” Price said. The measure also addresses medical malpractice reform, which Price said would provide doctors more protection in court, discourage “defensive medicine” and prevent billions of dollars in unnecessary tests and care. A state budget change in Wisconsin would push investigative journalists out of their workspace. A new automated survey from the left-leaning Public Policy Polling found that Democratic Rep. Gary Peters leads eight different potential GOP challengers in the 2014 Michigan Senate contest, with advantages ranging between five and 20 percentage points. The Senate will vote on two dueling bills to keep student loans from doubling on July 1. Both are expected to fail and with the deadline in less than a month, the vote may come down to a last-minute battle. Watchdog.org details the $29 billion in credit card charges from government workers. Paul Kane of the Washington Post examines the legacy of Rep. John Dingell, who marks a career milestone this week. The head of the Transportation Security Administration told the Associated Press Wednesday that the agency was scrapping a plan to allow small knives, souvenir bats and golf clubs onto planes. The reversal came after the initial announcement of the new carry-on rules drew criticism from lawmakers and the airline industry. CNN reported Wednesday that former Democratic vice presidential nominee John Edwards is looking to open a new law firm in Raleigh, N.C., this September. The National Journal looks at how Twitter seems to turn mild-mannered David Plouffe into a terror. Beloved local hardware store Frager’s was destroyed in a massive fire Wednesday night. Plumes of black smoke could be seen billowing over Washington, D.C. and firefighters worked into the night to contain the blaze at the 93-year-old Capitol Hill institution. Donald Trump plans to turn D.C.’s Old Post Office building into an hotel and spa, the Washington Business Journal reports. Christina chatted with Science Reporter Producer Jenny Marder about our science rap contest as we release an expanded list of finalists. Watch here or below. Ray Suarez continued our Inside Immigration series with a heated debate about the costs of a pathway to citizenship. For Science Wednesday, Rebecca Jacobson played with fire. Don’t miss her $20 bill going up in flames. Judy’s Notebook this week looks at a new survey of millenials. Here is the latest in our series of live chats with NewsHour correspondents. Jeffrey Brown answered your questions on journalism bias, where he gets his inspiration and his favorite stories. Offering his own prescriptions for our economic future, Nobel economist and New York Times columnist Paul Krugman argues debt isn’t the problem; the federal government should actually be spending more money to relieve unemployment. Casket of late-Sen. Frank Lautenberg (D-NJ) comes to the Capitol today. He will lie in repose in the Senate chamber this afternoon. Katelyn Polantz and Simone Pathe contributed to this report.